Any Occasion are pleased to announce that we have added Event Heaters to our hire services. These heaters are the perfect add-on for any Marquee Event. 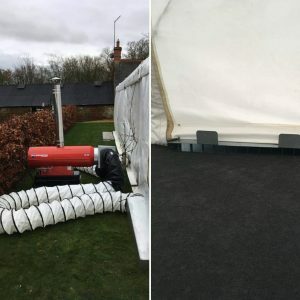 The air vent is discreetly hidden inside the marquee, perfect for winter events helping to take the chill away and leave your guests feeling warm and toasty.